The Kopernik Astronomical Society is announcing its first confirmed speaker for the 2012 KAS Astrofest that is running October 12th – 14th this year. We are proud to announce that Z. Nagin Cox will be speaking this year during our celebration of astronomy. 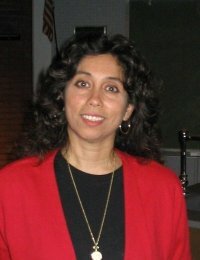 Z. Nagin Cox is currently the Assistant Flight System Systems Engineering Manager for the Mars Science Laboratory Mission. Launched at the beginning of this year, MSL will be reaching Mars in the August time frame this year. We can probably expect some great insider insight related to this amazing mission. Nagin graduated from Cornell University with a BS in Operations Research and Industrial Engineering and a BA in Psychology and was commissioned as an officer in the US Air Force. As a lieutenant, she was stationed at Wright-Patterson Air Force Base in Ohio and worked as a systems engineer in F-16 aircrew training. Then she attended the Air Force Institute of Technology where she received a masters degree in Space Operations Systems Engineering . As a captain, she served as an Orbital Analyst at NORAD/Space Command in Cheyenne Mountain, Colorado Springs. After leaving the Air Force to pursue more civilian space applications, she joined Jet Propulsion Laboratory (JPL) and began her time on planetary missions working in outer solar system projects. She served as the Deputy Team Chief of the engineering spacecraft flight team for NASA/JPL’s Galileo mission to Jupiter until February of 2000. She then moved to inner solar system exploration as the Deputy Team Chief of the Spacecraft/Rover Engineering Flight Team on the JPL Mars Exploration Rover Missions from it’s inception in 2000 until July 2004. Next, Nagin spent two years in extra-solar exploration as the Deputy Project System Engineer on the Kepler telescope mission to search for earth-like planets around other stars and then became the Supervisor for the Surface Systems Systems Engineering Group at JPL. She is currently the Assistant Flight System System Engineering Manager on the Mars Science Laboratory launching in 2011- the next NASA rover to Mars. This entry was posted in AstroFest, Events, News and tagged astrofest. Bookmark the permalink.